Threats from private GP companies masquerading under the NHS logo, claims that ‘apps’ are better than seeing your GP, and now selected patients encouraged to transfer to new central London practices (see photo) using ‘Babylon’s smartphone apps without any convincing evidence base and a motion from some Bedfordshire GPs to be allowed to go private – all this undermines doctors and their colleagues in primary care deliberately let down by Jeremy Hunt and this Government’s policy to underfund the NHS into a crisis that drives those that can afford it into the arms of private healthcare. The true context is this: there are fewer full time equivalent GPs now than in September 2015 – we are short of thousands of GPs and nurses, leaving surgeries struggling to cope. 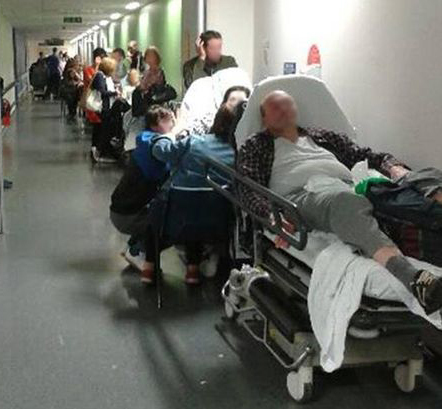 This is the direct result of criminally under-funding primary care services (family doctors and related general practice services). Spending on primary care has fallen from 9.6% of the NHS budget in 2006 to 7.9% today – a lower proportion of a total NHS budget, itself severely challenged since 2009. 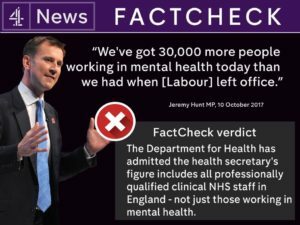 The Secretary of State for Health, Jeremy Hunt, has made little effort to act on warnings given to him by the medical profession for years. His counter claims that he is saviour of the NHS have been debunked by Stephen Hawking. Conditions for GPs have deteriorated. Many GPs work 12-14 hour non-stop days. Often they deal with 60-70 contacts a day and feel unsafe doing so. GPs are even being driven away from the profession as many are forced to pay extortionate fees for their indemnity (professional insurance) – some pay over £10,000 yearly. Given that a number of GPs genuinely feel that they can no longer operate within the NHS, conference calls on GPC England to urgently look at how these GPs can be supported to operate within a private, alternative model. Essentially, GP leaders will be voting on whether the British Medical Association (BMA) should support some practices to become private. Whilst the Bedfordshire delegates will argue that some GPs genuinely feel they can no longer operate under NHS England, what this demonstrates is just how much damage the current Government have already done to our health service. Several other motions describe NHS England’s five-year plan for general practice as ‘woefully inadequate’ and ‘pointless’, with Kent LMC demanding that ‘the GPFV [General Practice Forward View 2016] is replaced by an appropriate rescue package’. Keep Our NHS Public urges GPs to vote against this motion on 10 November. Instead, join your many GP colleagues in KONP in the fight for a fully-funded NHS and help to stop and reverse privatisation in the NHS. Another threat to Primary Care was kick-started this week. 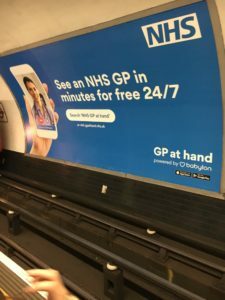 Five Central London GP surgeries have rolled out a “GP at Hand” service in an area of London covering 3.5 million patients. It uses a platform operated by private health app maker Babylon, and offers an “interactive symptom checker” that performs “triage” as well as health tracking and prescription services for its user. 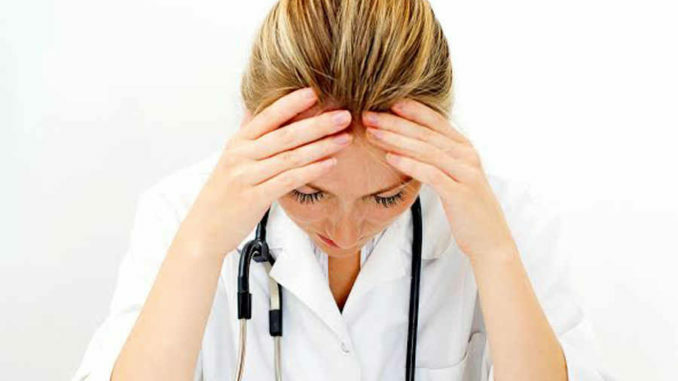 GP at Hand could cause further stress and harm to the GP work force who are already stretched and depleted through this partnership with a privately owned platform – choosing to be paid for the young, fit and healthy and to exclude, as they explicitly intend to, pregnant women and those with long-term conditions both physical and mental health and areas of care including safeguarding of children and vulnerable adults. The Register – Londoners: Ready to swap your GP for an NHS vid doc app? All shocking stuff….how can we get this out there?